Padre recently completed a Phase I ESA for the County of San Luis Obispo Public Works Department for the proposed Oceano Drainage Project in Oceano, California. 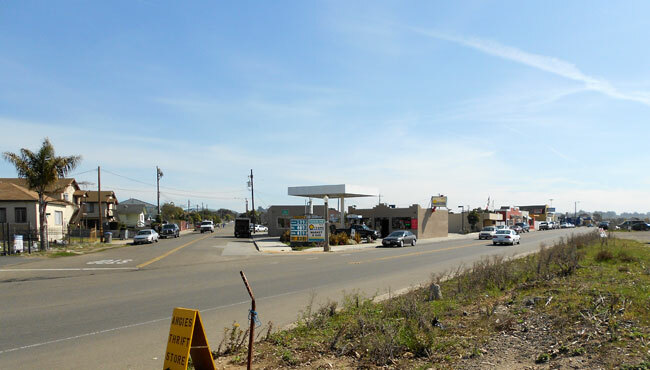 The objective of the proposed drainage project is to convey storm water runoff from the commercial area of Oceano to the Arroyo Grande Creek, crossing the Union Pacific Railroad right-of-way and several industrial properties. Padre identified two historical areas of potential concern along the proposed drainage pipeline alignment, including potential surface soil contamination from historical railroad maintenance activities, and a historical industrial cooling tower location. Padre is currently implementing a Phase II ESA work plan to collect and chemically analyze soil samples from designated sample locations along the proposed pipeline alignment. 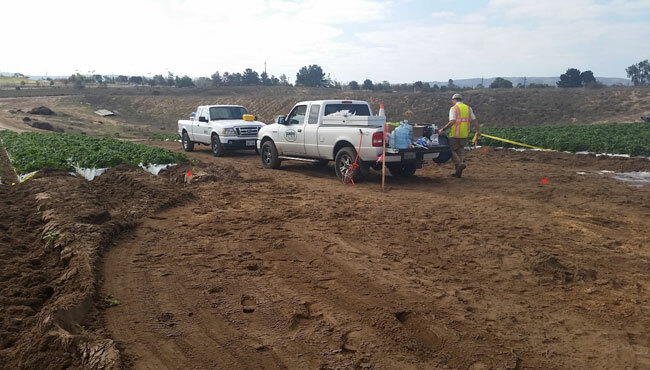 Padre prepared a Preliminary Environmental Assessment (PEA) report for a new Agricultural Education Center and Career Technical Education Center located in Santa Maria, Santa Barbara County, California (Project Site). The Project Site is currently used for agricultural crop production and has been since approximately 2006. Prior to 2006 the Project Site was used for cattle grazing. There is a plugged and abandoned former oil-gas well located at the Project Site. The purpose of the PEA was to establish whether a release or potential release of hazardous substances, which poses a threat to human health, exists at the Project Site because the conceptual site model indicated that exposure to soil, groundwater, and/or soil gas from the identified chemicals of potential concern (COPCs) may be possible along the inhalation, ingestion, and dermal contact pathways. The results of the PEA screening level risk assessment indicated that soil impacted by the chlorinated pesticides DDE, DDT, and dieldrin does not present a significant health hazard. Soil samples were also collected and evaluated for arsenic and lead concentrations. Based upon the Department of Toxic Substances Control’s (DTSC) school site risk management screening levels, lead and arsenic were not considered COPCs. The Project Site will be provided with potable water through the local water purveyor; however, the school site will utilize a nearby, offsite water well for irrigation purposes. Therefore, a groundwater sample was collected and chemically analyzed for the presence of TPH, VOCs, OCPs, metals, and nitrates. None of the COPCs were reported at concentrations exceeding their respective California maximum contaminant levels. In summary, the PEA screening level risk assessment indicated that the Project Site has not been significantly impacted by agricultural practices or the presence of a former oil well and drilling sump. DTSC concurred with Padre’s recommendation of a “No Further Action” designation, and approved the findings of the PEA. 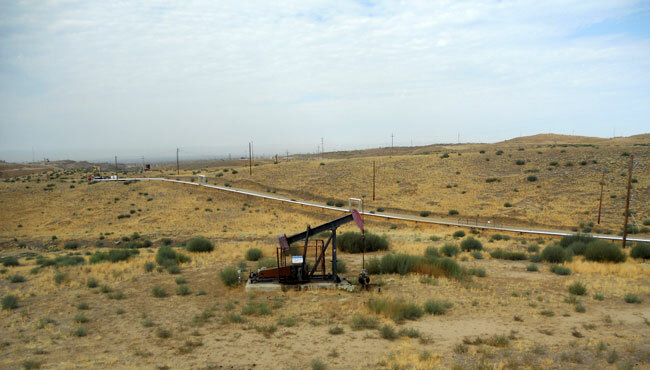 Padre conducted a limited Phase I environmental site assessment (ESA) for the approximately 30,080-acre Kettleman Unit Oilfield, located in both Kings and Fresno Counties, California (Project Site). The objectives of the limited Phase I ESA services were to identify areas of potential concern (AOPCs) located at the Project Site; to determine whether or not historic or current use of the Project Site has resulted in potential recognized environmental conditions; identify AOPCs that are documented and listed with publicly accessible regulatory agency files; and to assist Chevron in understanding known or suspected environmental conditions associated with the individual sections that comprise the Project Site. The limited Phase I ESA, included the review of available environmental databases and available historical data, and was performed in general accordance with the current American Society of Testing and Materials (ASTM) E 1528 standard practice for environmental site assessment (ESA) transaction screening process guidelines. Padre identified the general historical uses at the Project Site including AOPCs, and concluded that the observed AOPCs that would represent the greatest potential environmental risks were the historical and current presence of crude oil-gas production facilities; drilling sumps, and aboveground facilities used for produced oil and water. These types of facilities are known to potentially result in the generation of significant volumes of total petroleum hydrocarbon (TPH)-containing soil, and potentially elevated concentrations of volatile organic compounds and metals in soil.